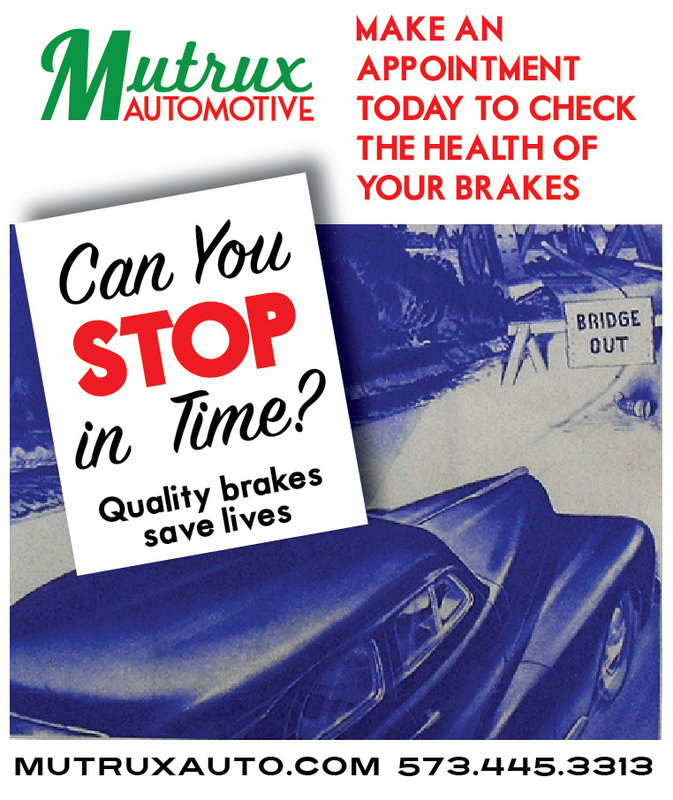 Schedule a Brake Check Up! Warm weather often means hitting the road for fun, but make sure that your vehicle is road ready. Worn out and low quality brakes can keep you from being able to stop at important events. Worn out pads can also do damage to your rotors, costing you more in the future. Contact Mutrux Automotive and have Ross and the crew check out your vehicle to ensure you are safe on the road. We’ve changed and updated our website. Our new web address is www.mutruxauto.com, easier to type and easier to remember.